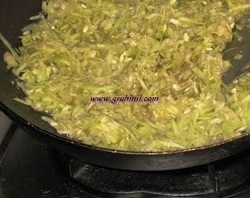 Heat 2 table spoons of desi ghee in a thick bottomed pan. 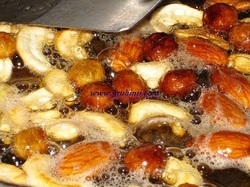 Fry dry fruits until golden color, remove from the ghee and keep them aside. 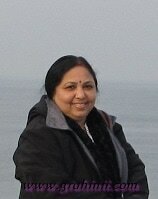 In the same ghee fry the grated loki until transparent. 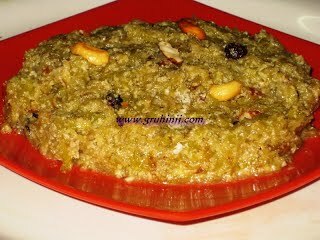 Now add 1 bowl milk to it and mix well. Allow to cook in a medium flame. 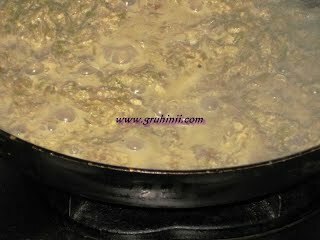 Stir in between and cook until the milk is completely absorbed. 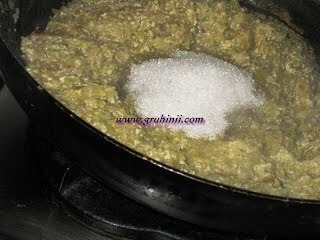 Add 3 to 4 table spoons of sugar (as per taste). Stir well. 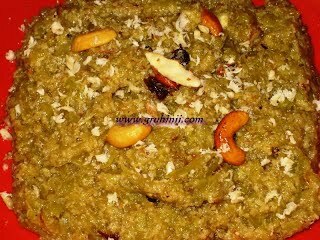 Cook until the halwa becomes dry. 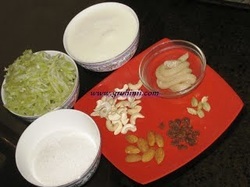 Now add Cardamom powder and fried dry fruits mix, take it into a serving bowl and garnish with grated kaju and badam.